UPDATE: Now closed; apartments being built on site. Oh, for a teleportal to the eastern suburbs, straight to the doors of Tai Pan. 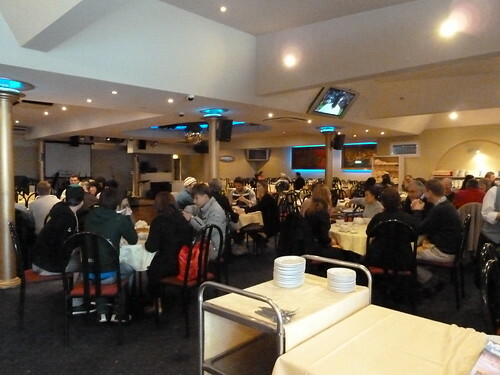 That is one thing we lack here in the west (well, as well as more trees) - a plethora of amazing yum cha options. In Footscray the options until recently were limited to Master and Yummie's. 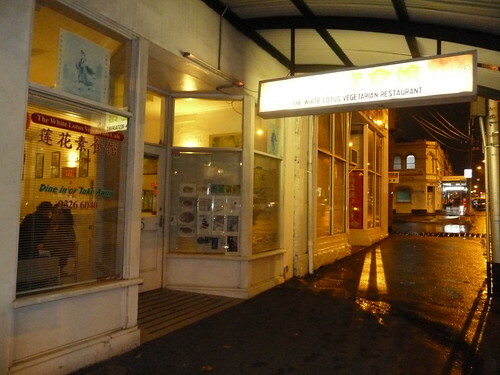 Dai Duong used to serve yum cha, stopped but since March has reopened. Now, I know you can go to Gold Leaf or Plume, but sometimes you just want something local. Is Dai Duong a good option? This was quite good although I do like the less-battered style at other places, Plume for example. 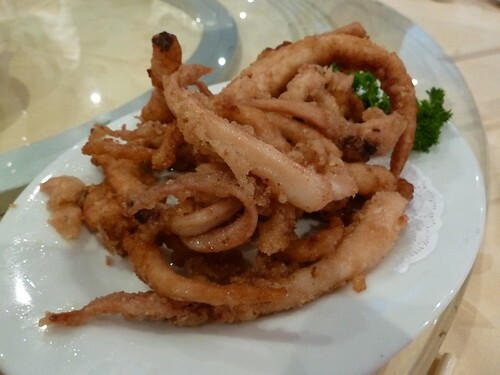 The squid itself was tender and fresh. These har gow or prawn dumplings were pretty good. 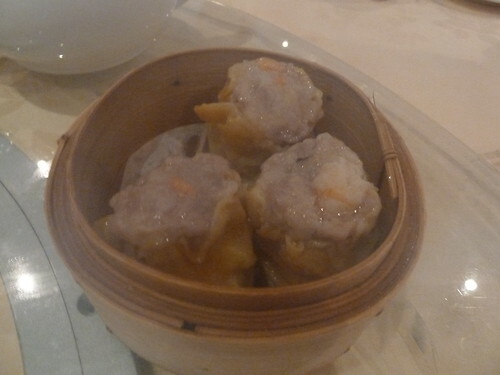 Other prawn combination dumplings were similarly tasty but often with quite thick, somewhat gluey skins. The scallop dumpling was too fishy for me. 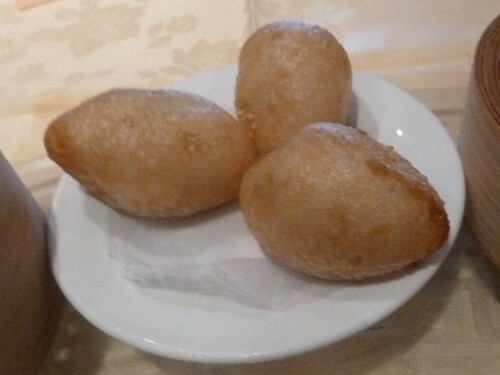 These are my favourite - "football dumplings", pork mince inside an elongated shell of thick glutinous rice flour. Unfortunately these were too oily and the filling was quite meagre. They were also just warm which meant they had been fried a bit ahead of time. 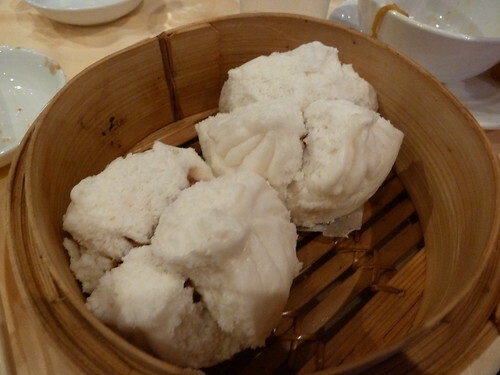 If you have never eaten yum cha, go for these first. 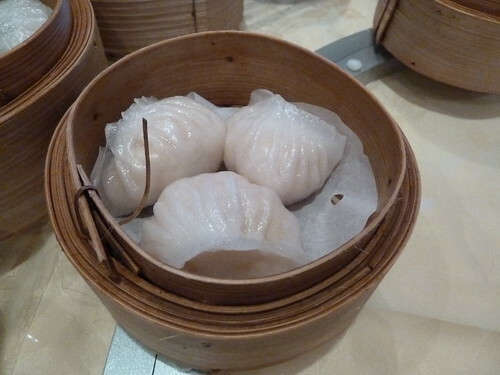 They are an accessible yet delicious introduction - a prawn and pork dumpling enclosed on all sides except the top with a yellow wonton wrapper. These were tasty but quite heavy. I have never had tendon before - well, not on its own! 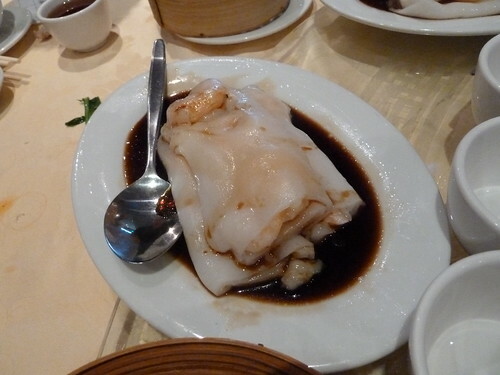 It was very strange - very gelatinous, like Vietnamese or Malaysian glutinous rice flour sweets. I can't say I enjoyed it but I am by no means an expert. These are long rice noodle sheets, kind of like lasagna noodles, flopped around a filling. The most common are BBQ pork or prawns (shown here) but you can do a special order with Chinese broccoli or long Chinese doughnut. These were pretty good. I love the thin, sweet soy these are served with. You don't always see this at yum cha so I am always excited when it comes around. 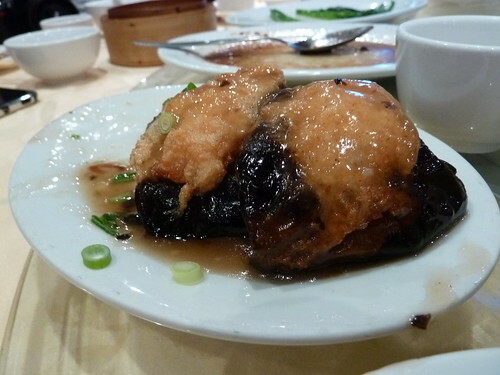 The eggplant is soft and silky (helped by being deep-fried!) and contrasts with the springy prawn mince. This was an OK version. These were cooked to order, the dough very delicate and soft. The filling was quite sweet and almost bacon-like in flavour - the pork inside was in very thin slices rather than the classic, chunkier filling. Great custard tarts, though! The pastry was very short and flaky, a little greasy but tasty. The filling was still warm and so comfortingly smooth. 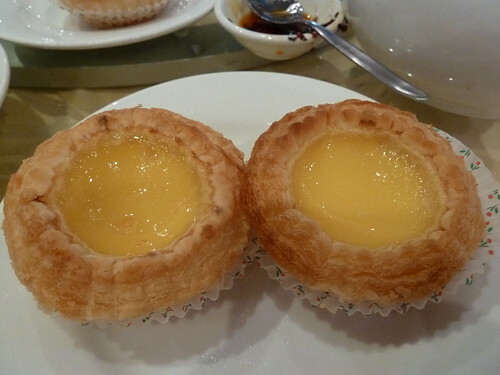 All custard tarts tend to be quite eggy which I am not a huge fan of but these tread a good line. Dai Duong was all right. 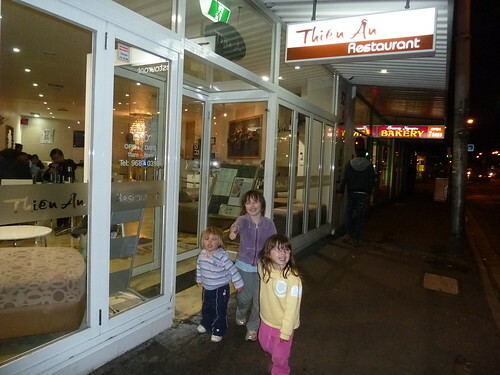 The service was good and they were switched on to the kids, bringing boosters and kids' cutlery without being asked. The spacious interior makes it a good option for families because you are not too cheek by jowl with other patrons. I still think Master is the best hyperlocal option though, although Yummie offers good value. Better still, saddle up and head out to Gold Leaf or Plume where your journey will be amply rewarded. 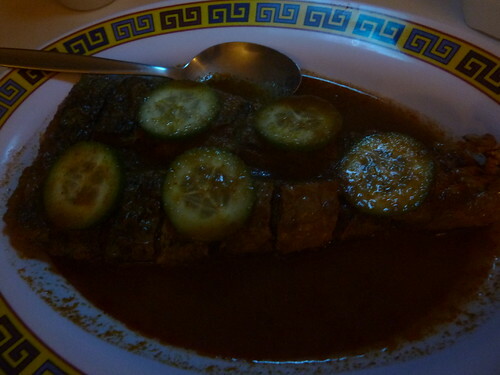 Check out Billy's recent visit to Dai Duong too. 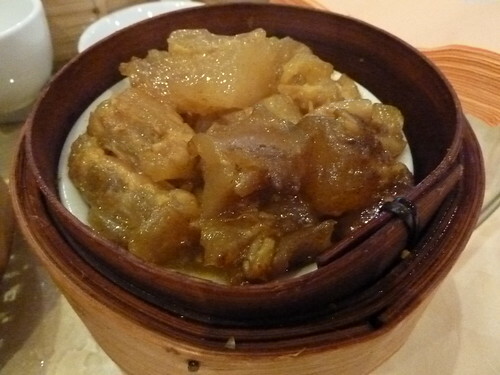 * Newsflash - the wonderful, kitsch Shanghai Dynasty in the city have stopped doing yum cha! WAAAH! 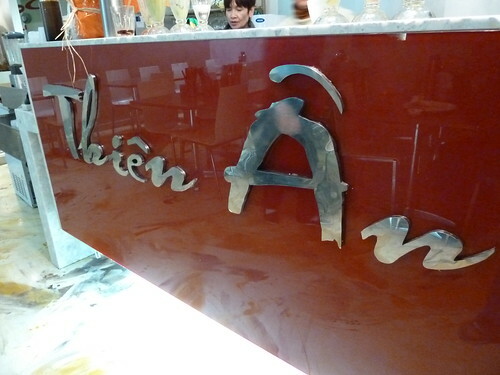 Once upon a time, there was an unassuming little restaurant called Thien An. 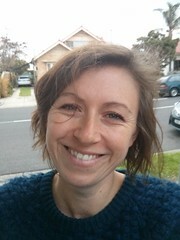 It huddled by Footscray station and didn't make a fuss. Then it moved across to road to more expansive, modern premises, trading mirrored walls for chaise longues in the front windows. Sunday papers gave it the thumbs up and its windows filled up with Anglo diners and many wannabe foodies, me included, turned their noses up. "That place must be too Anglified," we said, and lumbered off in search of dingier (and therefore more authentic) premises. 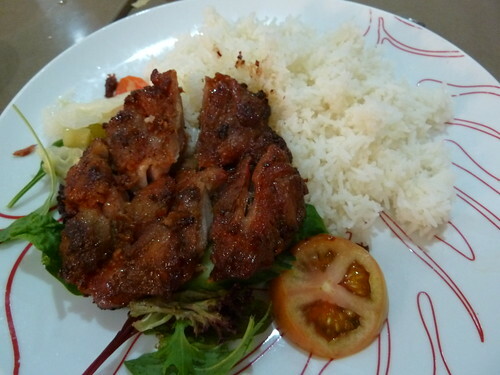 I did have one meal there that I thought was OK but on the whole, in the past I admit to having been a reverse snob about Thien An and actively bypassing it to look for less well-known restaurants. The thing is, diners can have a real herd mentality - everyone wants to know where "the good one" is, while there are actually usually multiple "good ones". I guess I didn't want to just default to Thien An simply because the decor is more appealing to Western/middle class tastes. 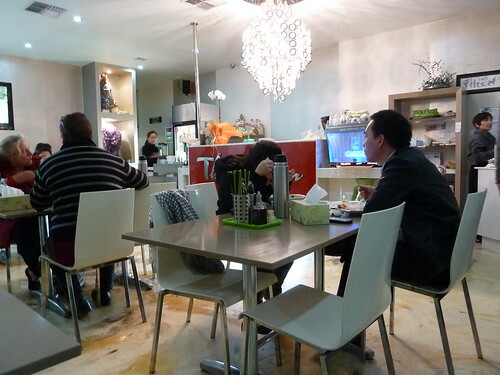 Billy and I were chatting and he said that the place his Vietnamese-Chinese relatives always recommended in Footscray was Thien An. Time to shrug off the tall poppy prejudices and give it another try, then! Three years after opening, rather than trendy, the decor is actually pretty out there. It's chintzy in an endearing way, with a marble-esque floor, an enormous 3D galloping horse artwork, a huge backlit chunk of amythest and giant country-chic floral installation suspended on the wall. A crazy chandelier, a neon-lit espresso machine, gilt-edged mirrors - it's a real bowerbird's nest of decor! These pork spring rolls were pretty awesome, fat enough to have real meaty flavour. Ignore the busted-up one at the front of the picture. My daughter was mid-crunch but when she saw me pick up the camera, she put it back without being asked. Pity the children of food bloggers! 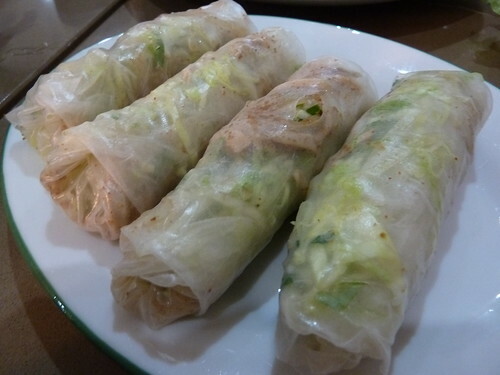 Big points for freshly-wrapped rice paper rolls. 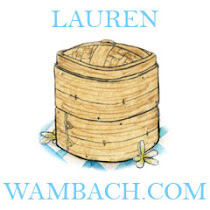 The wrappers come dried, like giant communion wafers and are rehydrated before wrapping. If they are stored for too long, the wrappers dry out again and become like leather. 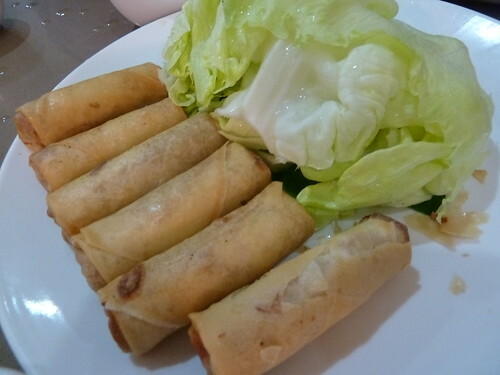 I prefer vegetarian rice paper rolls - I like bi (shredded pork skin) but I am not an enormous fan. These were well-made, though. Unreal vegetarian rice paper rolls for takeaway at Tan Truc Giang in Leeds Street. The best part of Vietnamese food - all that wonderful crunch and flavour! Lettuces and herbs for wrapping our banh xeo or Vietnamese pancake. The bowls of clear sauce with shredded carrot and chilli are for dipping both the banh xeo and the spring rolls, while the rice paper rolls have a hoi sin or peanut based sauce. The small bowl of red sauce is lovely thick chilli sauce. I really loved this banh xeo! 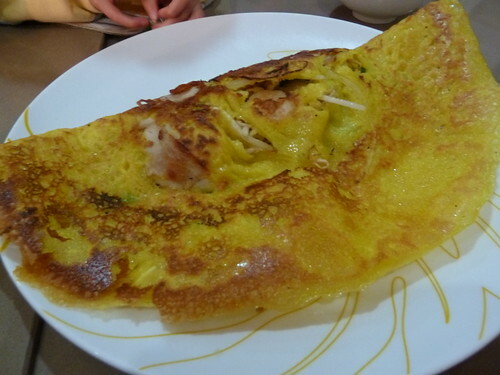 The crepe is made from a thin yet rich batter of rice flour, coconut and turmeric, and it is then loaded with cooked bean sprouts, cooked yellow mung beans, prawns and pork. 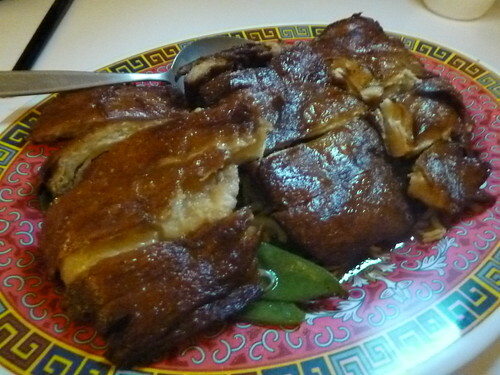 The pork here was thin slices, some of which had become crispy and almost bacon-like. You take sections, wrap in lettuce and dip. I thought this was one of the better banh xeos I have eaten as it was super crispy (many can veer towards gluggy) but Billy said it wasn't crunchy enough. I am excited there are crunchier specimens out there! Vegetarians, Thien An do a vegetarian version of this that comes highly recommended, as well as a tofu bun rice vermicelli salad. This is not a common Vietnamese menu item so I was keen to try it. It's normally a breakfast food, made up of long rolls of noodle sheets (somewhat like yum cha item cheong fun) with Vietnamese smallgoods. Here there is cha lua, a very mild, springy pork sausage, and nem chua which is raw pork that has been cured with special pickling salts and spices. There's a snack version that all the Asian grocers sell - you can often see it next to the cash register, wrapped in bamboo with a raw garlic clove and chilli on it. I loved the noodles with crunchy fried shallots and cucumber, doused in seasoned fish sauce, but I am ambivalent about the mixed hams, not so much from Thien An but generally. My favourite banh mi is not the classic mixed ham but the hot offerings like BBQ chicken or pork. I am keen to try this home-style dish again, though. 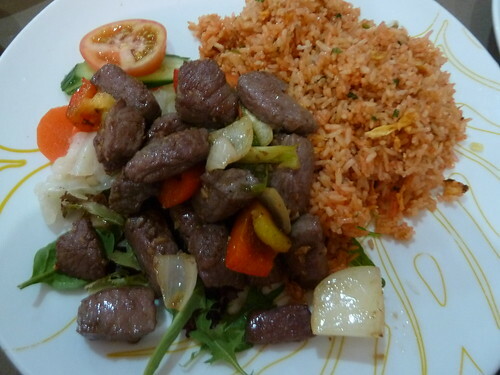 The translation of this dish's name is "shaking beef" because it should really just be chunks of steak, quickly wokked and served with a small dish of lemon, salt and pepper as the only seasoning. Some places do a thick pepper sauce but this was traditional and quite perfect. The beef was just cooked, tasty and of good quality. The accompanying rice is traditionally flavoured with tomato. A simple dish done very well. 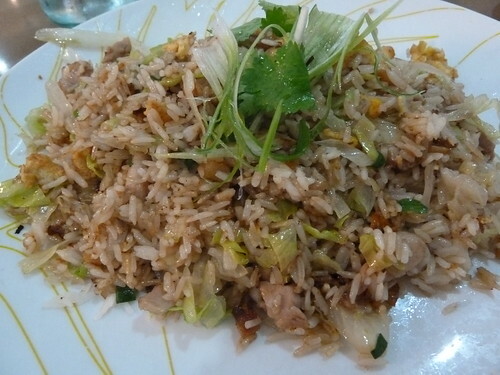 A home-style classic, fried rice with salted fish. The salted fish is dried, salted fish that is chopped and used in tiny quantities to give savoury umami zing to this simple dish. 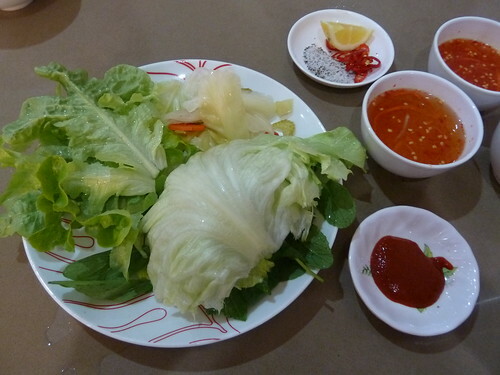 It comes with small pieces of chicken, egg and here, cooked lettuce which is surprisingly delicious. Great BBQ chicken, a richly-seasoned thigh with plenty of crusty grilled flavour. 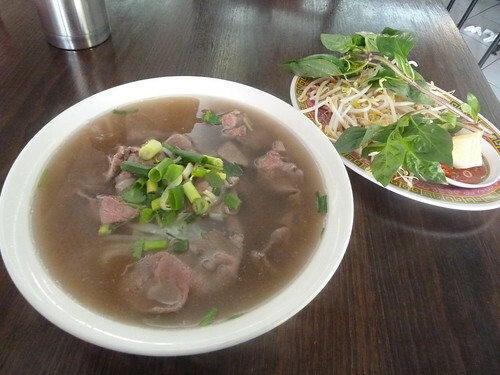 Thien An differs to most local Vietnamese restaurants in its large, round, cafe-style crockery. The other thing that stood out was every dish, while balanced in flavour, had a real element of sweetness. 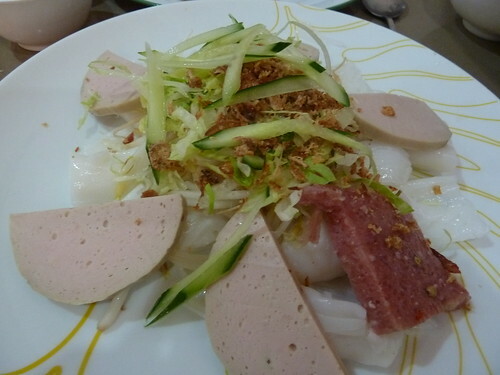 This is a characteristic of southern Vietnamese cuisine. 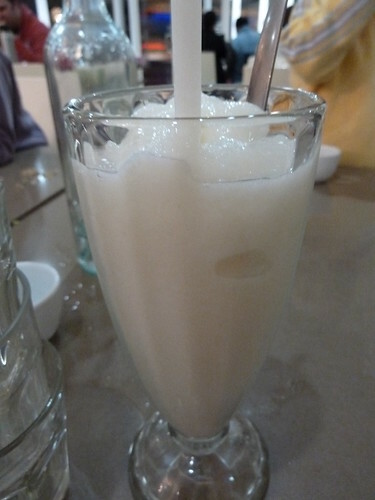 Excellent custard apple smoothie! This really tasted like a light, delicate sorbet. It may be because custard apples have recently come into season, but it had a genuine custard apple flavour. We also tried an avocado smoothie which is totally OTT - avocado and condensed milk, oh my! 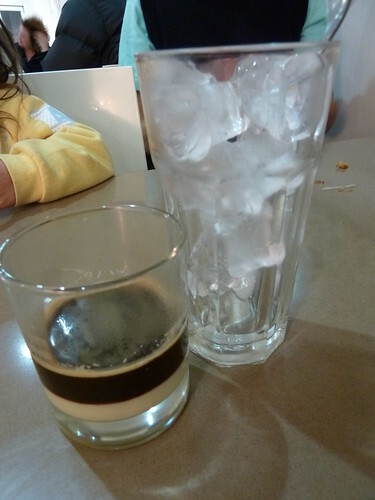 Great Vietnamese coffee too. The strong coffee is dripped through a customised filter onto a layer of condensed milk. You then whip this together with your spoon and pour over ice. It is such a heartstarter - I love it. Perfect for gearing up for an evening's work! 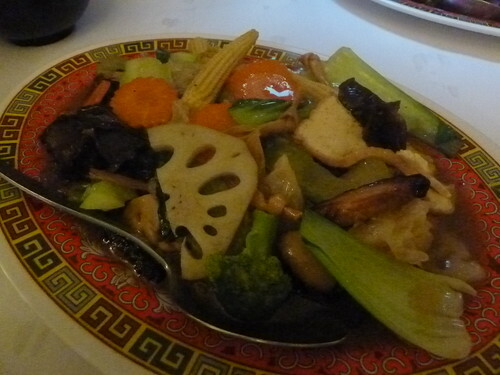 I am sorry I overlooked Thien An for a long time on the basis of one ordinary meal, and because they were "trendy". 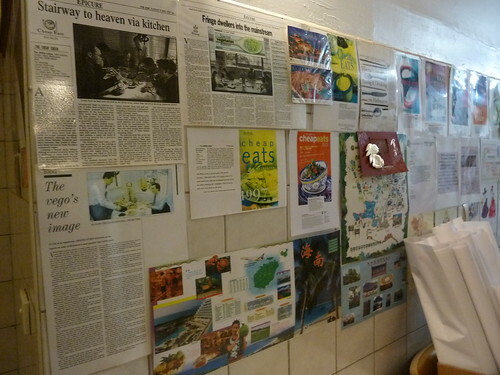 Their food is really good and they can hold their own with the Hopkins Street heroes. Is there a food more versatile than pho? Supremely refreshing in hot weather yet warming in cold, much beloved for breakfast (or at least brunch), lunch or dinner. We are spoilt in Footscray with so many fabulous pho options, so much so that the "busiest is the best" rule doesn't strictly apply. 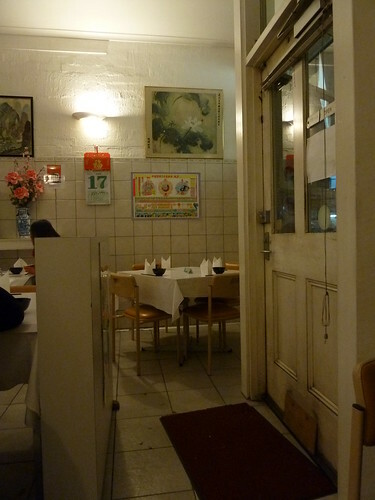 Hien Vuong Pasteur is right in the Hopkins Street main drag but could easily escape your attention. It seems rather dark from the outside and is never packed, yet multiple friends have recommended this sleeper cell of pho to me. 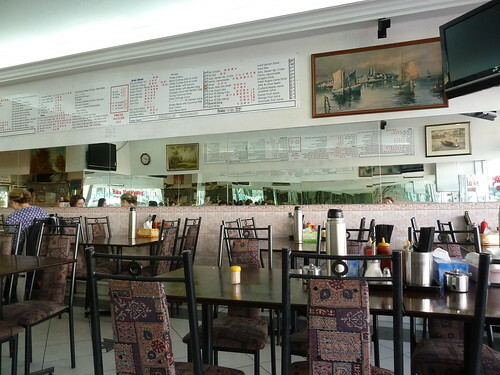 This is one old school pho joint. Daggy conference centre chairs, tiles, the hall of mirrors and the menu on the wall complete with mismatched stick-on fonts. I love Hung Vuong's neat and simple stainless steel but there's something comforting about this type of decor - like an old, stretched-out pair of trackies that are the daggiest yet comfiest thing to wear. Fabulous pho! Some bowls tip the scales towards the aromatics, the scent of star anise or cassia predominating. Here, the rich, almost caramel beef flavour took centre stage. The meat was of excellent quality, arriving just pink and quickly transmogrifying to brown in the hot soup. The broth was simple yet deep in flavour and quite divine. 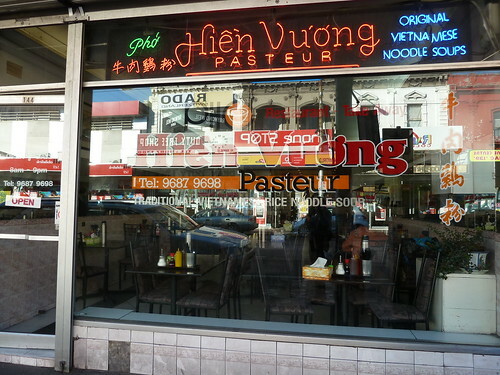 When you can't handle the crush at Hung Vuong, Hien Vuong Pasteur will surely satisfy.